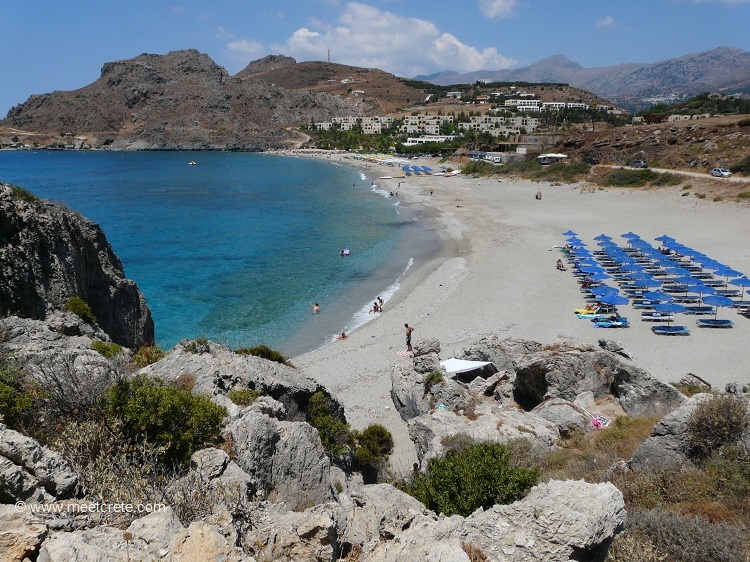 The large Damnoni Bay with its 500 m long sandy-pebble beach, about 3 km east of Plakias, offers plenty of space. 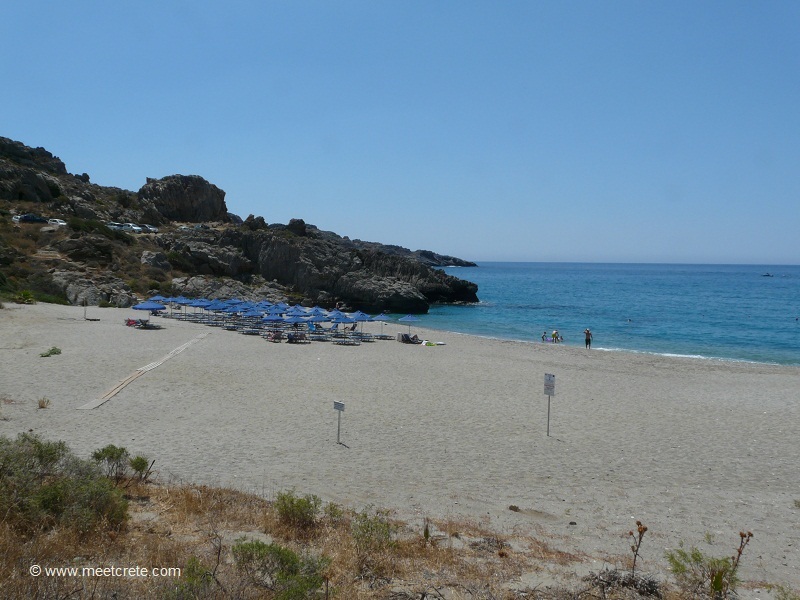 who love to come here for swimming from all directions of Crete, especially on weekends. Nevertheless, a lot of umbrellas, etc. are offered in the western area of Damnoni beach. You will find at the east end more than enough space for your personal beach towel; at the east end itself is a nudist beach. 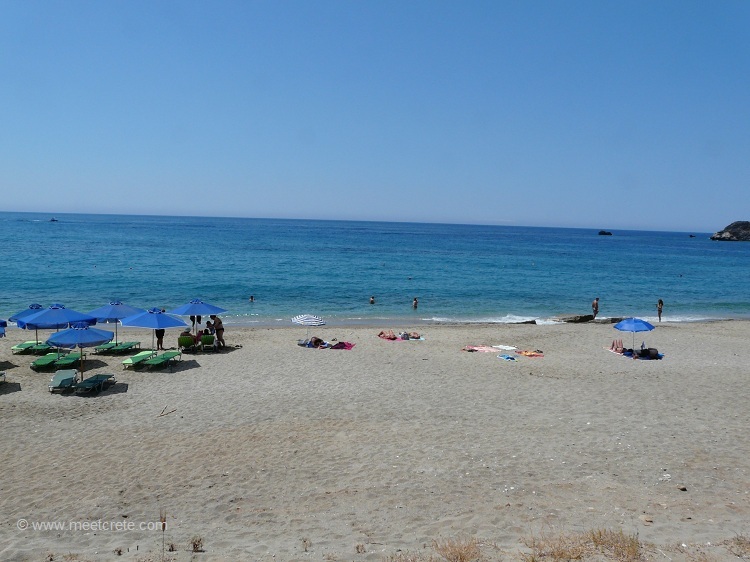 The bay can be easily reached by a paved road from Plakias and is well signposted. In the nearby taverns one sits and eat very well, and off course also Frappé is served or is offered to take to the beach. 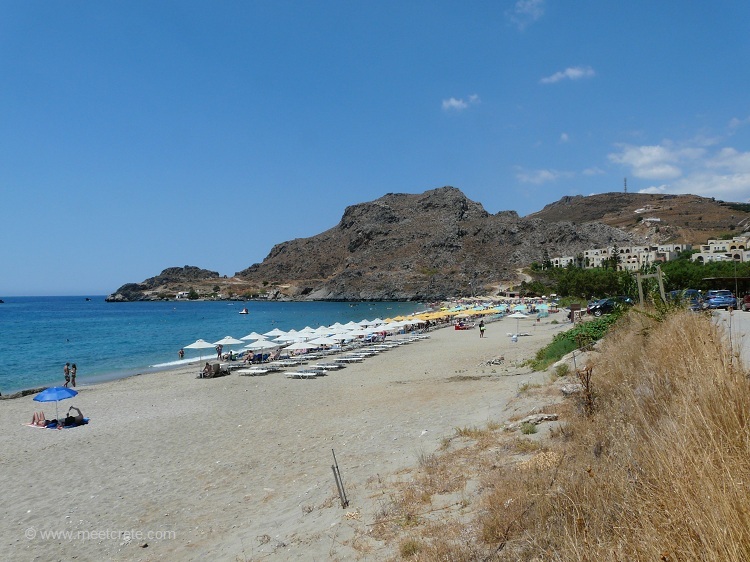 My recommendation: you can even walk to Damnoni beach from Plakias, since the bay is separated from the long sandy beach only by the Sarella peninsula (with the Paligremnos rock) in the east of Plakias. It is said to be a 45 min. walk!